Dernière modification par Eyeshield21 le 24 avr. 2018, 10:28, modifié 1 fois. as its latest exclusive offering. and featuring the exclusive Kaleidoscope pattern. 50 Rated Rookies and one exclusive Rated Rookie Signature. Frank Ntilikina, De’Aaron Fox, Jayson Tatum, Lonzo Ball and Markelle Fultz. for any sequential number, including jersey numbers and 1/249. 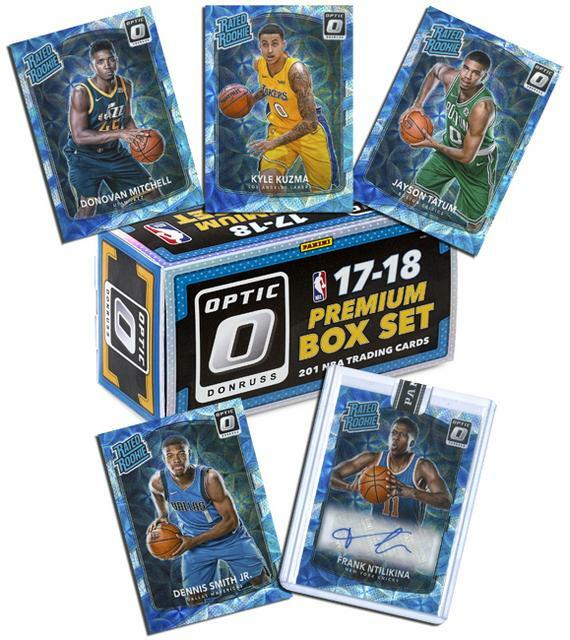 2017-18 Donruss Optic Premium Box Set features the stacked NBA rookie class and a large price tag. covers the entire 200-card base set with an exclusive holographic finish and pattern. in every set, and each is limited to just 249 copies. is found in every factory set. from the Rated Rookies Signatures insert. to just 25 copies apiece. including Donovan Mitchell, Jayson Tatum, Lonzo Ball, and Markelle Fultz. is the perfect collection for any basketball hobbyist! and numbered to just 249 copies! 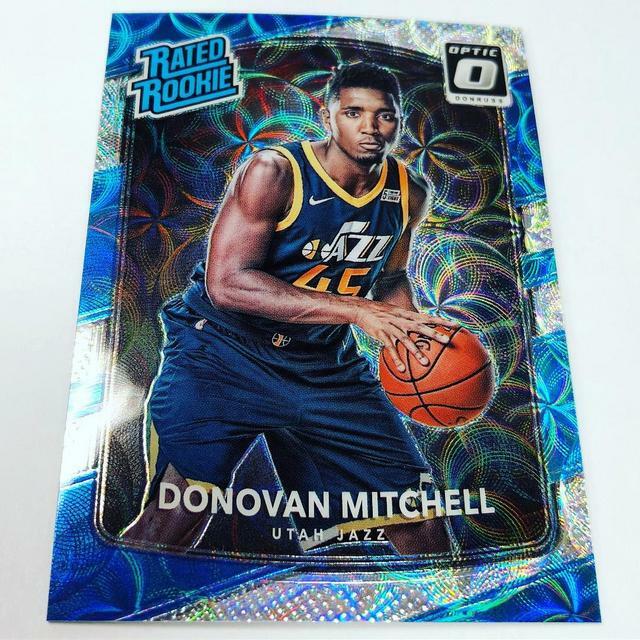 Only 249 Donruss Optic Premium Box Sets have been produced. Dernière modification par Eyeshield21 le 13 mars 2019, 12:04, modifié 4 fois. 200 Markelle Fultz - Philadelphia 76ers. Dernière modification par Eyeshield21 le 21 nov. 2018, 14:46, modifié 1 fois. vu qu'elles sont pas numbered, comment on reconnaît les cartes dîtes : HOLO ?? ?